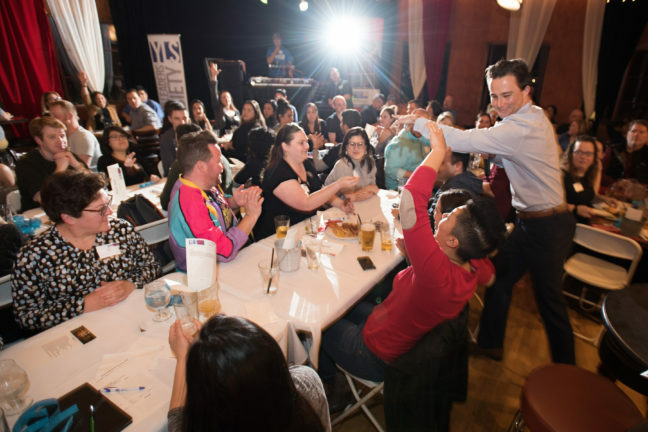 Sacramento-area young professionals can show off their knowledge of early 2000s trivia while raising funds to help local kindergarteners save for college at United Way’s Young Leaders Society’s annual Brews & Brains trivia night on Feb. 8 from 5:30-8 p.m. at the Sacramento Masonic Temple, 1123 J Street. Guests, who must be age 21 or older, will enjoy beer, food and chances to win prizes. Guests who register as a team of six by Jan. 28 will receive the early bird rate of $135, which includes a Brews & Brains pint glass, and food and drink tickets for each team member. Individuals and couples can register for $25 each to be placed on a team and receive food and a drink ticket. To learn more: www.yourlocalunitedway.org/brewsandbrains2019.